The discovery of an eastern Oregon wheat farm contaminated with genetically-modified wheat of the same variety produced and field tested from 1998 until 2005 by the world’s largest seed company, Monsanto, generated a flurry of international response. Japan halted white winter wheat imports from the Pacific Northwest while the European Union has encouraged its 27-member body to continue to monitor and test certain wheat shipments from the United States. These import restrictions may be particularly harmful to Oregonians as wheat accounts for the state’s second largest export commodity with a market value of $500 million on last year’s harvest. Most of Oregon’s wheat is destined for Japan’s markets. 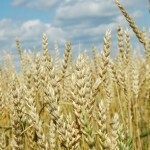 The discovery of the genetically modified wheat variety sent overall prices for wheat tumbling. While there is no evidence the genetically modified wheat has entered commercial supplies, lawsuits have been filed against Monsanto. Japan, Australia, the European Union, and the United Kingdom are just a few of the regions where genetically modified organisms (“GMO”) are banned because of the lack of long-term studies. Indeed, even when trans-fats were first introduced into the food supply, their health effects were generally unknown. Years later, studies were produced showing the harmful effects of these fats on human health. Trans fats have now been restricted in certain states. Besides the fact that GMOs encourage the use of pesticides and herbicides for their production, GMOs are furthermore imposing themselves upon natural plant varieties. The Willamette Valley’s seed producers have used the genetically modified wheat incident to harness attention for their fight against the production of genetically modified canola in the Valley. GMOs have been known to breed with other plants to pass on their genetic makeup. This could have complex and dire effects on exports of these products to countries that ban GMOs. Oregon House Bill 2427 proposes to ban the production of canola in the Willamette Valley. Oregon has long been home to conscious and progressive organizations like Friends of Family Farmers who seek to maintain a respect for the land and the local community. Legislation curbing the widespread production of GMOs should be pursued at the federal level. While long-term health effects of GMOs are relatively unknown, the overall negative effects of GMOs are well-established. Currently, sixty (60) to seventy (70) percent of all processed foods in U.S. grocery stores contain at least one GMO ingredient, the result of a strong agribusiness lobby led by powerful corporate entities like Monsanto. Our U.S. House of Representatives and Senate should be pushing to mandate labeling on food products containing GMO ingredients. Consumers should have the right to know the foods they eat are not contributing to the destruction of our lands through harmful pesticides and herbicides, that such foods are not peripherally contributing to the genetic uniformity that GMOs encourage, and that our export markets and relationships remain intact. Labeling is a simple solution for a product that has caused widespread problems beyond the unknown future health consequences of its consumption.